That's because magic reeeally is wonderful!! Akko can't seem to pass her transformation magic test, which means she can't participate in the joint-dinner banquet with the prestigious students from Appleton. Having lost confidence, Akko has her eyes set to the northernmost part of campus for the Polaris Spring, which is said to grant witches tremendous power. Yoh Yoshinari is the creator of Little Witch Academia. 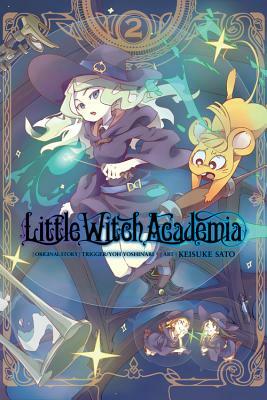 Keisuke Sato is the artist of the Little Witch Academia manga.